Welcome to Simply Soothing. Thank you for taking the time to review the following rules that govern your use of this site and all sales between you (the “Customer”) and Simply Soothing. Please note your use of our Site or by placing an Order with us constitutes your unconditional agreement to the following Terms and Conditions. All orders are subject to acceptance by Simply Soothing, at its sole discretion, at its office in Columbus Junction, IA, U.S.A., even if taken elsewhere by a salesperson, sales agent or representative. Simply Soothing is dedicated to providing you with the highest quality products and customer service. If you are dissatisfied for any reason, call us immediately. Our staff of service professionals will do whatever it takes to guarantee your satisfaction. After an order has been placed with Simply Soothing, Customer may only cancel the order prior to the order being shipped and is subject to reimbursement to Simply Soothing for its direct expenses incurred prior to such cancellation. Unauthorized returns will not be accepted, please call us for a return authorization. A restocking fee may apply. Prices for products are based on Simply Soothing list prices in effect at time of order and exclude freight. List prices are subject to change by Simply Soothing without notice. Prices listed do not include shipping charges. All products are shipped F.O.B. origin and the shipping costs are added to the Customer invoice. Orders are shipped either via UPS, FedEx or USPS depending on weight, date needed and delivery location. Simply Soothing is not liable for any loss, damage, cost or expense for any failure to ship within the acknowledged date. If the Customer is a tax-exempt entity, Customer shall provide Simply Soothing with a copy of its tax exemption certificate. Subject to Simply Soothing extending a line of credit, all payments are due on delivery. Payments received more than 30 days after the date of the invoice are subject to a late charge of 1.5% per month on the unpaid balance. Customer shall be liable for all costs of collection, including attorney fees and courts costs, if any. All payments are to be made in United States dollars. Simply Soothing shall pack all shipments in commercially suitable container that provide reasonable protection against damage during shipment, handling and storage under normal circumstances in reasonably dry, unheated transport and storage quarters. Simply Soothing reserves the right to impose additional charges for packaging to comply with Customer’s specifications or instructions. Simply Soothing shall not be liable for any default or delay attributable to any cause or circumstance beyond its reasonable control, or the reasonable control of its suppliers or sub-contract manufacturers, which prevents or impedes the ability of Simply Soothing to deliver product in accordance with an order. Such causes and circumstances include, but are not limited to: acts of God; governmental acts, decrees or restrictions; accidents; wars, riots, or civil commotion; explosion, fire or flood; boycotts, trade disputes or quarantines; strikes, lockouts, slowdowns or other labor problems; restraints affecting shipment or credit; non-arrival or delay of carriers; inadequate or reduced supply or excessive cost of suitable raw materials, transportation or suppliers, or manufacturers to manufacture and supply product. In the event of such default or delay, the date for shipment shall be extended accordingly. Simply Soothing may make delivery on an equitable basis with reference to all its Customers. No orders may be cancelled due to a force majeure event without prior written approval. Customer agrees and represents that it is buying for its own internal use only and not for resale or distribution to any other third party. Simply Soothing authorized resellers are subject to the terms and conditions of the separate reseller agreement executed between Simply Soothing and such reseller. Simply Soothing warrants that it is in compliance with all laws, rules, regulations, standards, ordinances, and Executive Orders of the United States, all applicable state and local governments, and all applicable governmental agencies with respect to the manufacture and sale of its Products.  Products purchased by Customer shall be subject to export laws and regulations of the United States of America. Customer agrees to comply with all applicable laws and regulations of the various states and of the United States. There are no representatives, agreements, warranties, conditions, or obligations expressed or implied, relating to the sale and purchase of Simply Soothing’s products except as set forth herein. Customer’s order and Simply Soothing acceptance is the sole contract between the parties. The construction, validity and performance of the contract for sale between Simply Soothing and Customer shall be governed by the laws of the State of Iowa, United States of America, without reference to its choice of law principles. Customer irrevocably consents to the jurisdiction of the courts of the State of Iowa and the United States District Court, for the trial of any lawsuit arising out of the contract for sale. Any action for the breach of the contract for sale must be commenced within one (1) year after the cause of action has occurred. In the event of litigation to enforce the terms of the contract of sale, the prevailing party shall be entitled to reasonable attorney fees, both at the time of trial and on appeal. Any waiver of the terms and conditions hereof, or any waiver of any breach hereof by Customer, either directly by Simply Soothing or by operation of law or in equity, shall not be deemed to be a waiver of an subsequent failure of strict compliance with the performance of each and every item of the contract for sale. If any provision or provisions of the contract for sale are held to be invalid, illegal or unenforceable, such provision shall be enforced to the fullest extent permitted by applicable law, and the validity, legality and enforceability of the remaining provision shall not in any way be affected or impaired.